Origin Iran. 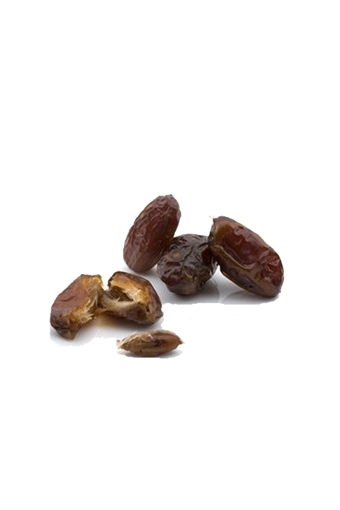 The date is the fruit of the date palm. Dates are sweet and rich with a chewy sticky texture. Prefect for baking. Ingredients: Dates (99.5%), Vegetable Oil (palm 0.5% Max). Nutrition: Per 100g. Energy 272kcal/ 1162kJ. Protein 3.4g. Carbohydrates 68.4g (sugar 66g). Fat 0.4g (saturates 0.2g). Fibre 6.5g.